Have you heard of the Calico Critter Families? If not you can read a fabulous review here - Calico Critter’s Secret Island Playhouse. 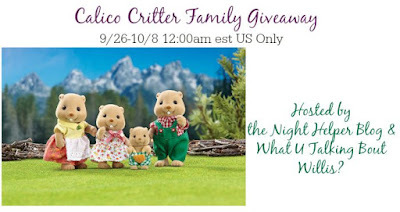 We're doing a giveaway of one Calico Critter Family (valued at $24.95). They are so cute and would be a great addition to any Calico Critter playhouse! 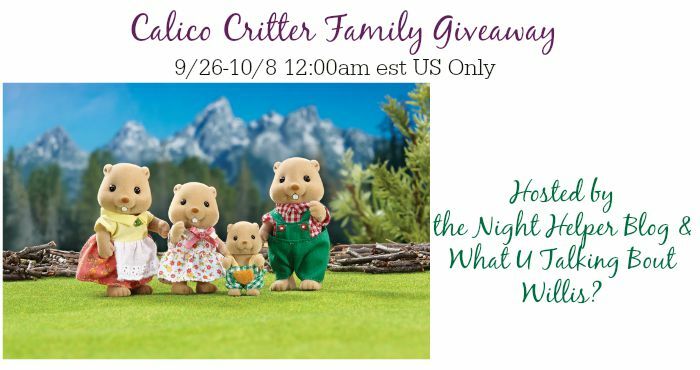 Enter below for your chance to win 1 of the Calico Critter Families! I have heard of Calico Critters. My granddaughter played with them. They are great. Yes! My little girls have been asking us to get them! They are so cute! I have heard of the Calico Critters Families! They are all so adorable! I have heard of the Calico Critters but have never bought them. I think my daughters would like them. These look so cute. I think they would be fun for my girls to play with. I have heard the name but never really looked into their line until now. Yes I have always wanted this toy set for my daughter, she loves little figurines she can manipulate. 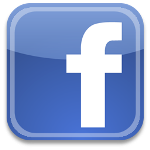 I have heard of them, because of my granddaughters. They love them. My one granddaughter has the "rabbit" family. They are really cute! I heard & knew of the different Calico Critter families, bu I did not know they had all of these playsets. I guess, what good is a Critter family without a house? What creative imaginative FUN!!! 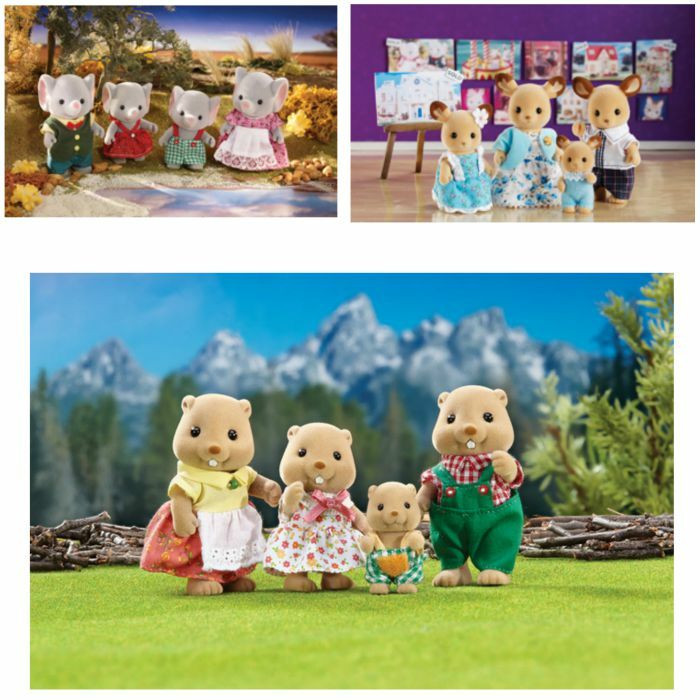 Calico Critters would make a cute addition to any dollhouse too! 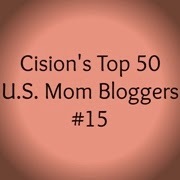 I have heard of them and I would love to win them for my neighbor's little girl or my niece. I know they would love them and I love all the different families. Yes, my daughter is 7 and has a few and she loves them! I have to admit I love playing with the Calico Critters with my Granddaughter. 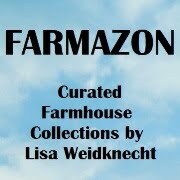 They are so cute and the furniture and houses are very durable. I have never seen these. they are adorable. 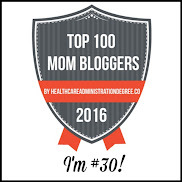 I have heard of them and I love them! If I were a kid I'll bet I'd have a room full of them because I'd request them as gifts for every holiday! Yes, my daughter has a few of them already and loves them! I have only heard of them once or twice. This is really cute, my daughter would love these cute critters. I've heard of them but my children don't have them yet. There are very cute! Kids would have lots of fun playing with them.